Born directly from its acquisition of Twine Health earlier this year, Fitbit Care is a connected health platform for health plans, employers, and health systems. Fitbit on Wednesday announced Fitbit Care. Born directly from its acquisition of Twine Health earlier this year, Fitbit Care is a connected health platform for health plans, employers, and health systems. 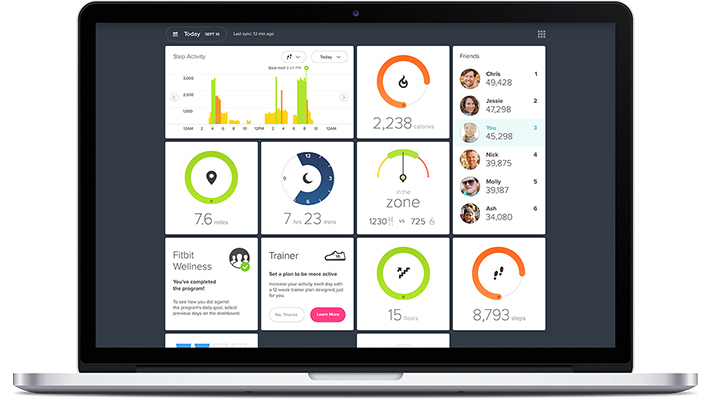 Utilizing Fitbit’s wearable devices, Fitbit Care combined health coaching and virtual care to help improve disease management and prevention by leveraging Twine’s health coaching services. More than 5 million Humana members will have the potential to access Fitbit health coaching or wellness solutions through a range of capabilities, such as Go365 and the Humana Employee Assistance Program. Twine Health cofounder Dr. John Moore said that combining Fitbit with Twine’s coaching services will help doctors come up with diagnostic and therapeutic plans to support patients outside the office visit by aggregating relevant data. “We can bring the data, in an aggregate sense, to health coaches and other professionals,” Moore said. The Fitbit Care platform includes the wearables and self-tracking capabilities one might expect — allowing users to continuously track activity, sleep, heart rate, and other health metrics. It also includes digital interventions such as support tools, private social groups, and guided workouts that for training anywhere, and at any time of day. Health coaching and virtual care are perhaps the most notable addition to the platform. Users can utilize their own health coaches or the ones provided by the platform, ensuring someone will be available through the app, over the phone, or in person to support health goals such as weight loss, smoking cessation; and the management of conditions both chronic and complex, from depression and diabetes to pulmonary obstructive disease and congestive heart failure. Anyone who’s enrolled in the health coaching component, whether it’s through their employer, health plan, or health system, will also have access to a new app called Fitbit Plus, which allows people to communicate directly with their care team and receive personalized guidance and support. Fitbit Plus also has the ability to track more advanced health metrics, including blood glucose, blood pressure, or medication adherence. The technology will work across different types of devices. “It supports a wide range of glucometers, blood pressure cuffs, and other wearables, and over time we’re quite interested in expanding the scope of that selection,” Moore said. Pellegrini said Fitbit Care is essentially a subscription, priced on a case-by-case basis based in part on the number of employees within an organization. Fitbit and Humana also announced the availability of the Humana Go365 clock face on Fitbit Versa and Fitbit Ionic devices, making members’ Go365 activity data accessible on the wrist. Go365 is a personalized wellness reward and incentive program that aims to help members lead healthier lives, and help employers reduce costs related to healthcare and lost productivity. With the new clock face, members will be able to track their health stats, such as their daily and weekly step progress toward their goals, and update their Go365 Status directly on their device. “We’re known for things like managing your weight and being more fit,” Pellegrini, said. “These translate into meaningful solutions as we span across the continuum of health."